Reports have announced that the Prime Minister is currently in the process of finding a compromise between Solentia and Kalopia. Whilst no details have been released, nor has any statement on how the progression of these talks are going, the Office of the Prime Minister of Kalopia released a statement confirming that discussions with the Solentian government had been started by the Prime Minister and are currently "on-going". BREAKING: New Reports from Solentia Say 70,000 Figure "Made Up"
The government claim to have sent 70,000 troops to the Solentian border. However press outlets in both Jakania and Solentia are reporting that the taskforce at the border is a mere 20,000. The Office of the Prime Minister refused to comment on the reports, but the Defence Ministry said that initial troop estimates: "may have been slightly exaggerated." Provisional Prime Minister, Kolenta Kapllani. Pending support from the Ultra Nationalists, she will take over the reigns of the country until the next election. Kalopia have been given a major blow by their neighbours Solentia, as they have been forced to accept all of Solentia's demands for a border fence. In a damaging result for its position in Majatra, Kalopia has conceded under the pressure of fighting on two fronts, with both Jakania and Solentia teaming up to warn Kalopia to stand down troops. As a result of this failure, the man responsible, the Prime Minister, Miralem Kusturica, has resigned in disgrace, and will retire from public life. It all began by lying about the number of troops on the border. Whilst Kusturica claimed that 70,000 were sent over to respond to the supposed Solentian threat, in actuality the number appears to only be 20,000. What followed, however, was even more of a debacle. In his resignation, Kusturica claimed that compromise after compromise was hurled at Solentia to avail. Despite this, Kusturica saw every single one of Solentia's demands matched, and an eminent Kalopian retreat ordered. It is believed that the main reason for his failure is Jakania's promise to attack Kalopia should the latter attack Solentia. Whilst military analysts believe that Kalopia has the military acumen, with the funding from the Kazulian government, to have the upper hand were they to be at war with just one of the nations; most concur that a war on two fronts would result in the "complete and utter annihilation" of Kalopia. Kusturica's replacement, experienced, and uncontroversial Cabinet Minister, Kolenta Kapllani, has removed all troops from the Solentian border, and has stated that Kalopia's focus must remain of the "aggressive" behaviour of Deltaria and Jakania. Issuing a formal apology to Solentia, she said that her predecessor's actions had been "rash, unreasonable, and unjustified". Promising a new shared cabinet with the Ultra Nationalists, Kapllani suggested that her party had become corrupt on power over the preceding years, and that she wished to remove those looking for power. She didn't, however, lax on the issue of Jakania. In a very upfront manner, she said that Jakania was risking war with Kalopia, and that it would be a result of the aggressive policies of the President. Whilst she maintained that Kalopia would never begin a conflict with their Turjak neigbours, she did blame Jakania for taking Majatra "this close" to a catastrophic war. I do not know fully what went on between either Miralem Kusturica and Solentia, or Solentia and Jakania. I am sure I will be updated about the former soon. However, what does appear apparent from what I have seen is that it is actually the actions of Jakania that are risking all out war. I do not believe that Solentia nor Kalopia would be particularly happy with fighting each other. Solentia is currently in the process of overhauling their defence industry, whilst Kalopia has all of its troops protecting the West side of the country from more pressing threats. However, it was Jakanian meddling - like they did in our elections - that has risked bloodshed. Kapllani is a more conserved character than the more aggressive Kusturica, and it will be interesting to see what direction she takes. She will most certainly want to make the impression that she more control over what is going on than what Kusturica ended up having. This is shown in her promoting Cirket Korkizoglou to the position of Foreign Affairs Minister, him being a former leading Foreign Affairs Expert. Whilst, Kalopia's attitude towards her western neighbours may not change, the way she approaches dealing with them, is what the new Kapllani Ministry will be about. Jakanian Government Rejoices At "Kalopian Humiliation"
- Thanks Kazulia for support, as she called for Istalia to back Kalopia in preventing Jakanian "Meddling and Imperialism"
The Prime Minister was very positive about future relationships with their eastern neighbours, Solentia. The Prime Minister of Kalopia has announced her delight at Solentia's easing of lorry inspections at the border, calling for the reconciliation of the two South Majatran nations. She said that she wanted to use this "unique" opportunity to press Solentia to push liberty focused reform through its Senate, and grant more freedoms to the Solentian people. She also took her time to thank Kazulia for their intervention, and warned Jakania that Kalopia had "renewed wind in her sails" following the catastrophic management of foreign affairs by the former Prime Minister. Unlike her predecessors, or many within the government, the Prime Minister took a more collected approach to Kalopia's foreign affairs, choosing her words with care, rather than spontaneously attack her adversaries. Jumping on the Solentian decision to remove inspections of Kalopian lorries, and governmental sources reportedly calling for a mending in relations between the nations, Kapllani said this was an opportunity to prove Kalopia was more about peace than war, and alter a misconception that had been building up in the community. Mrs Kapllani also thanked Kazulia for their intervention in the crisis, and their heavy condemnation of those "wishing to harm Kalopia." She said that the support received from the Northern Superpower was beyond value, and that Kalopia was indebted to a true friend who wished for prosperity in Majatra. Kapllani did however, voice concerns about recent arms deals made between Beiteynu and Solentia, as well as Dorvik and Jakania, calling them reactionary, and potentially threatening to stability. When quizzed whether this is hypocritical due to the large military support given by Kazulia, she said that Kalopia's use for such a military was for defence, but nations "located primarily to our west" may look to use these weapons for "imperialistic purposes." And of course, it wouldn't be an address from a Kalopian Prime Minister, without some sort of attack on their neighbours, Jakania. Pointing to the subsiding of tensions between Solentia and Kalopia, as well as the Kazulian intervention, Kapllani warned Jakania to stand their distance, as she said that they now had the "full, undivided" attention of Eleopolis. Arguing that continued refusal to talk, and constant military exercises, proved that Jakania were the aggressors in the area, and that they deserved to face the consequences if they did not reconsider their aggression. The Prime Minister did not state what those consequences were. Kapllani also took a jab at the Jakanian Prime Minister, and former President, Ahmet Arslan. Commenting that he "failed to command support even from his party," she said that she was looking forward to the next Jakanian election, and hoped that a "more reasonable" colleague would replace him, in order to see a "restoration" of peace in Majatra. Kalopian Investigators have submitted evidence to the Majatran Alliance Investigative Force (MAIF) apparently proving the innocence of all four (some now ex-) cabinet members accused of playing a role in the assassination of the former Czar of Deltaria. They are said to be confident of a "positive" result, although they have not disclosed what they are submitting, nor on what grounds it justifies the pardoning of the Kalopian politicians. The move comes following months of skirmishes on the border. Whilst this has not broke into full scale war as of yet, the ramifications that it has had regarding Kalopia's position with other neighbours have been huge. To Deltaria's South, Jakania has placed its military on "amber" alert, suggesting that it is worried about Kalopian aggression. Despite this, Kalopia have repeatedly denied having imperialistic aims - instead labelling Jakania as the aggressors. When asked the President, now in his final term, refused to give details of the evidence, in alignment with all other Kalopian officials. However, he did say that he was confident that the Investigative Team was accurate and "on point" in their findings, and that apologies for all Kalopians caught up in the scandal would be distributed as soon as the MAIF confirmed the team's findings. BREAKING: Minosasa: "Jakania have never negotiated anyway"
The President of Kalopia has attacked the Jakanian Foreign Ministry for its statement regarding Kazulian protection of Kalopia against "war mongering imperialists". Attacking particularly the claim that any negotiation would be conducted by Kazulia rather than Kalopia, he said that Jakania had never bothered to negotiate anyway and instead wanted war in order to press their ultra nationalist and discriminatory rule upon members of other nations. Jakania now faces the prospect of two large bodies of troops at its border, as the MAIF are looking into the evidence provided by Kalopia regarding the innocence of their cabinet ministers. Furthermore, with the legalisation of slavery in Solentia, and the planned withdrawal of the Solentian-Istalian Treaty by Istalia, it appears that the once strong support for its anti-Kalopia position seems to be fading. They now have a window in which repentance is possible. But beyond that window is a self destructive path to despair for multiple nations. I urge, as I have throughout my Presidency, the Jakanian Government to stand down and open meaningful and constructive talks. The ball has always been in Jakania's court. Kalopia has been controlled in its response, only responding to Jakanian threat, rather than escalating the situation, like our western neighbours have done so many times. The presence of Kazulia is necessary in Kalopia as the odds of Jakania conducting an unprovoked, spontaneous attack are unfortunately high. Kalopia sees a nation hellbent on invasion, and it has taken the necessary precautions to guarantee that it does not fall to a foreign power. I am sure that they understand that Kalopia will accept any support they can get in order to protect the integrity of our borders, against a foreign threat primed to break them down. and Cobura offering multiple times, and the establishment of the Sharba Conference, they were still resolute in their pursuit of war. President Milo Minosasa has entered his last term in Office. He has been President of Kalopia since 4331, and will hand over the Office in 4340. In what would be a huge shake up to the Kalopian constitution, it appears that the Ceremonial President Act commands the support of all three parties, pending the official vote of the Ultra Nationalists. The Act would see all but ceremonial powers stripped from the President, as Kalopia would move to a Parliamentary Republic, where the Cabinet would hold the Executive Branch of power. The President, however, would have the ability to assume emergency powers were the cabinet to unanimously agree. It would not be the first time that a President from the Reform Party has looked at making a large constitutional change as he heads into his last term in Office. President Malan Berisha introduced the Term Limit Act which prevented future Presidents from claiming the Office more than three times, after announcing his decision not to run for a third term. 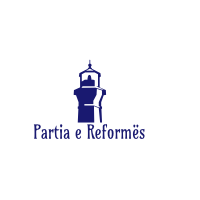 The Reform Party, who has always been supportive of a Parliamentary Republic, has now seen President Minosasa introduce legislation that would make the Prime Ministerialship the most important job in the country. The significance of the position of Prime Minister has almost been de facto over the past few years due to the tensions with Kalopia's neighbours, and a need for several coalition talks to be discussed. As open dialogue between the Prime Minister, Foreign Minister, and Defence Minister has become more crucial, President Minosasa argues that it is easiest to allow power to reside within the Legislature, in order to allow for consensus when geopolitical decisions are made. Critics argue that this could too easily see a rogue dictator attempt to consolidate his power, but the legislators in the Grand National Assembly argue that the 50% majority to overturn the Emergency Powers would make this impossible.